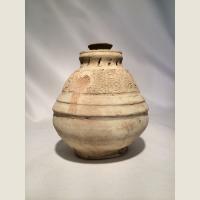 Very good, except for some repair on one shoulder and very small chip at rim. 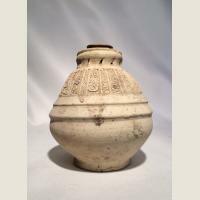 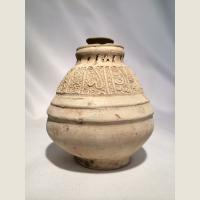 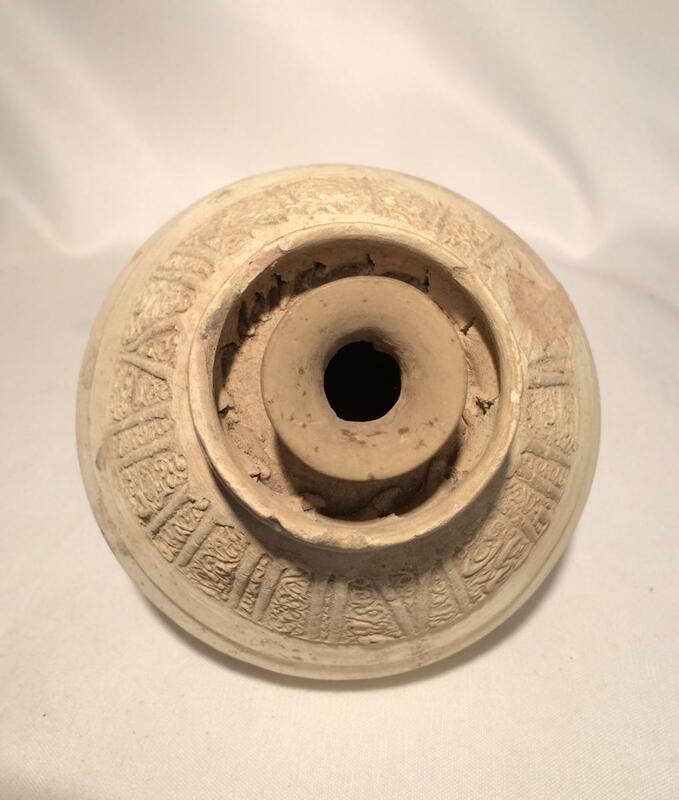 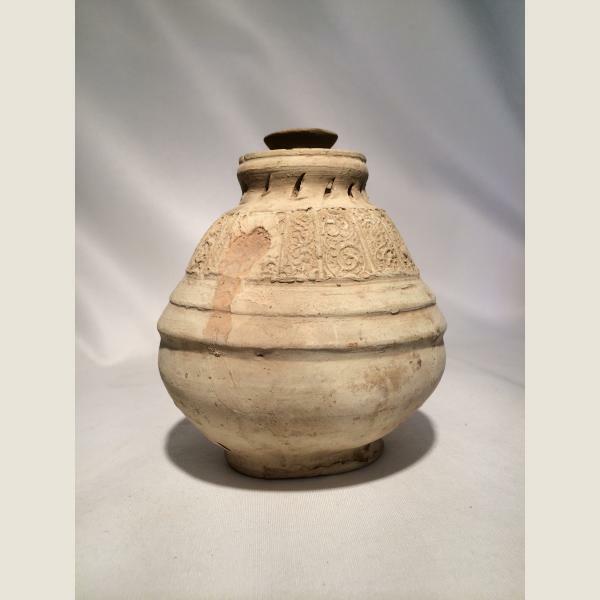 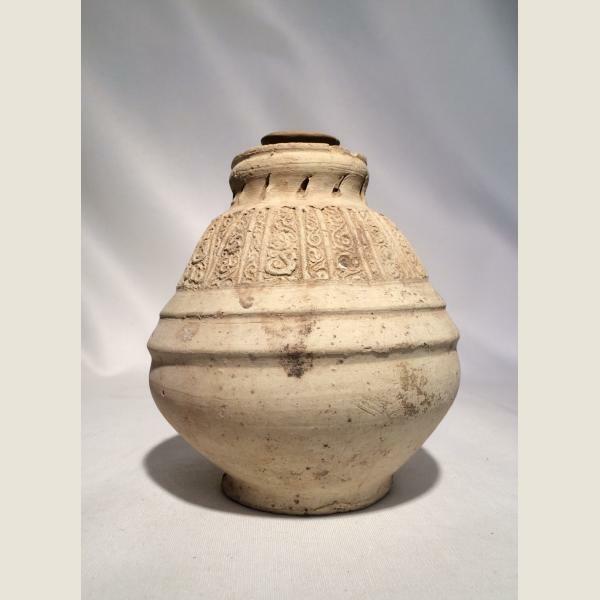 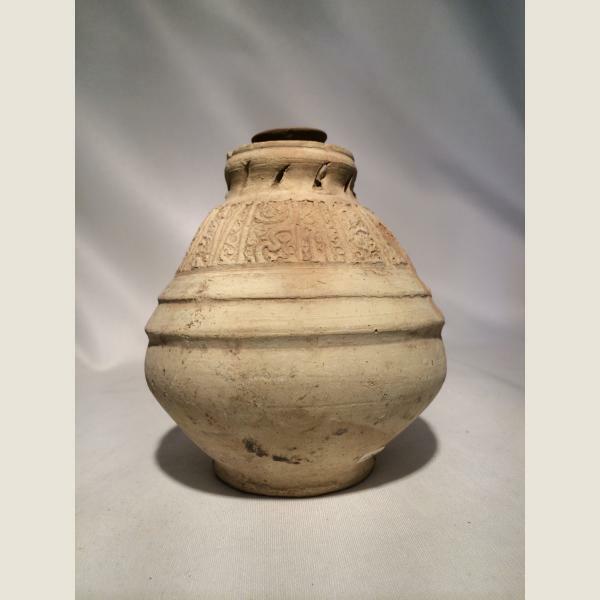 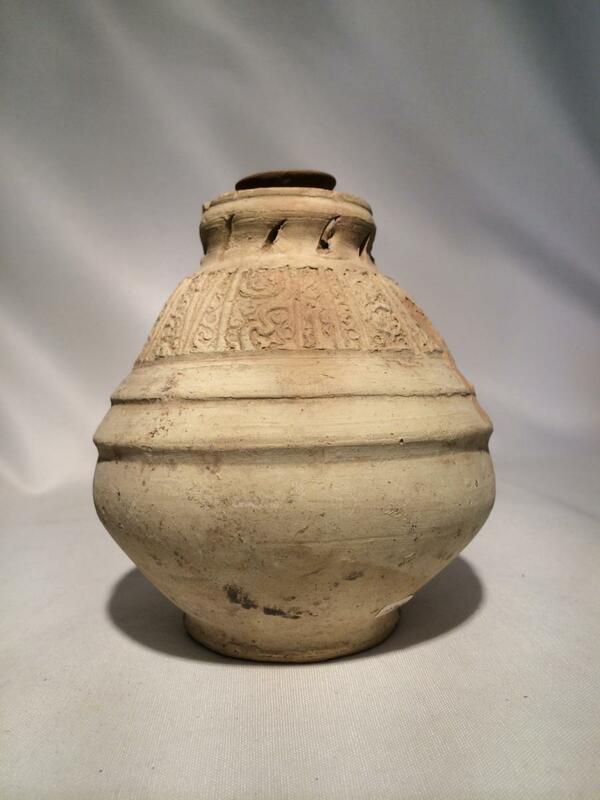 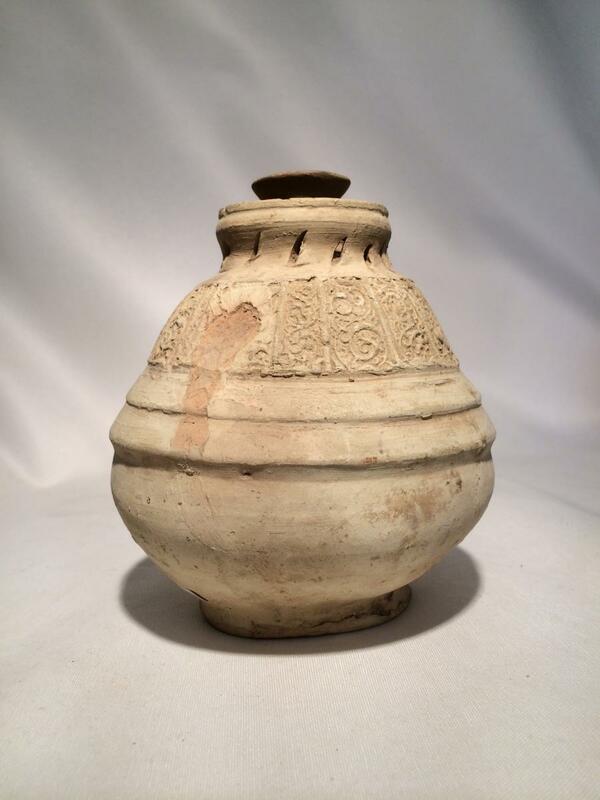 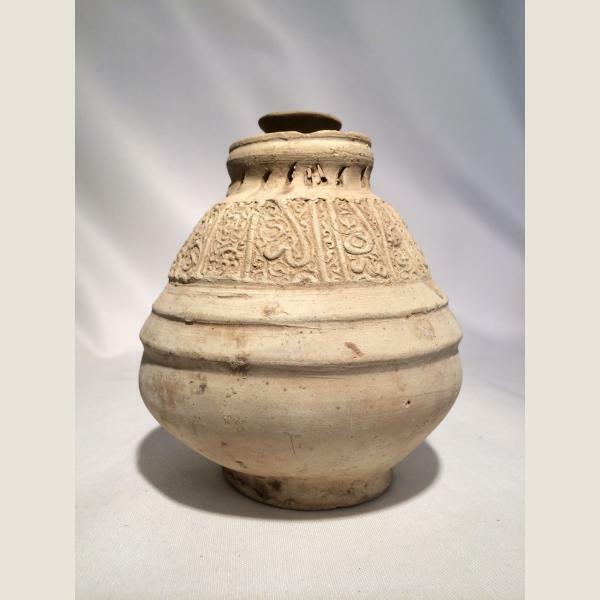 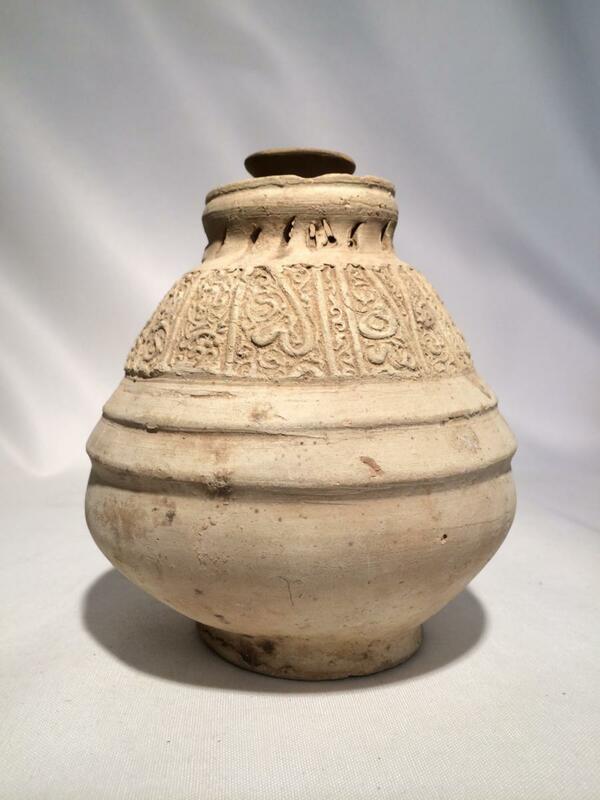 An example of ancient Islamic buffware with intricately incised decoration forming a band on the shoulder of the jar. 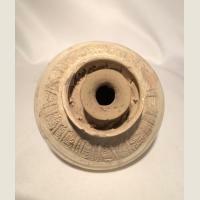 Two concentric circles around widest circumference. Pierced rim. 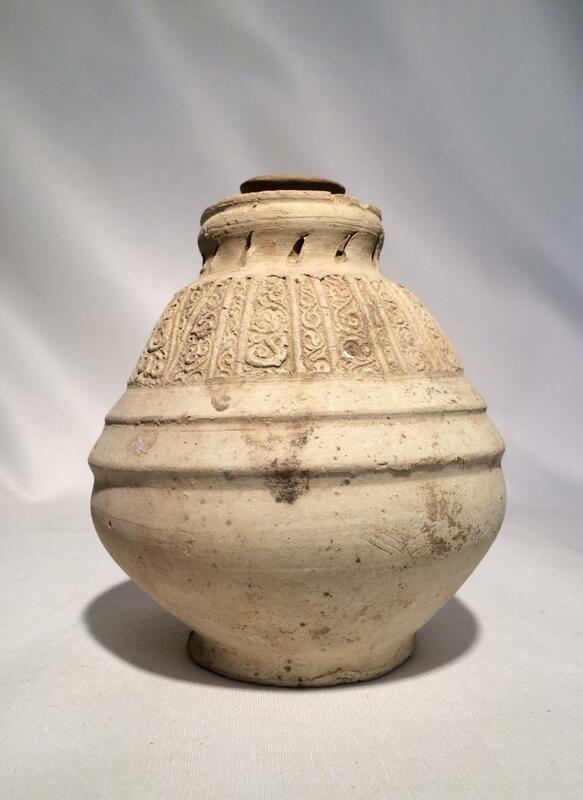 Unusual top of jar.